Nanna Øland Fabricius is a Danish singer and artist who also goes by her stage name Oh Land. Today, she has revealed that a new, personal album is on the horizon. The new studio record is slated for an early 2019 release and is said to be produced by Thomas Bartlett, who is known for his work with Sufjan Stevens, The National, St. Vincent, Florence & the Machine and many others. Her upcoming album is her first studio album in five years and, according to a press release, is said to be more intimate than anything else Oh Land has released before. Born in Copenhagen, Fabricius released her first album, Fauna, in Denmark in November of 2008 via a Danish independent label called Fake Diamond Records. She followed that with her self-titled album in 2011 which peaked at number 5 on the Danish Albums Chart. She made her U.S television debut on the David Letterman show that same year. Her third album, Wish Bone, came out in 2013, via Dave Sitek’s boutique label Federal Prism. Sitek also worked with Yeah Yeah Yeahs. 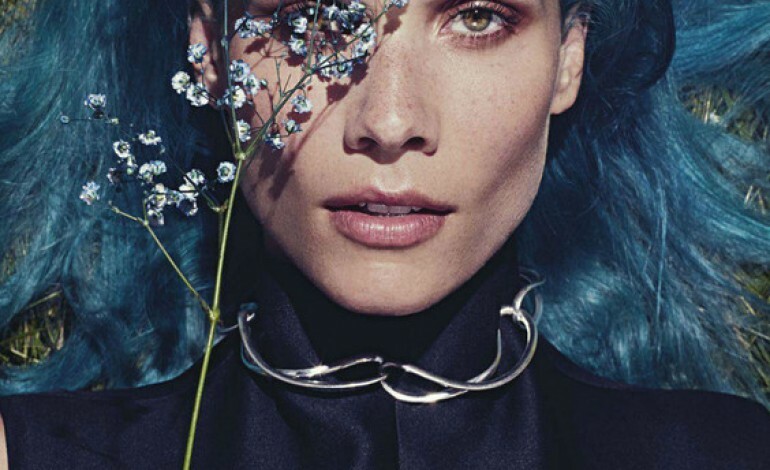 It has been five years since the Danish singer released her last studio album, Earthsick back in 2014, which featured the single, “Love You better.” Since then though, Fabricius has kept herself busy while working on her follow-up. She has dipped her hands in classical music waters by playing with Lang Lang and Joshua Bell in Carnegie Hall and with the symphony orchestra in her native country of Denmark. She collaborated with the Queen of Denmark, Queen Margrethe 11 by composing music for the children’s ballet “Askepot” back in 2016. During the summer of 2017, Fabricius went on to compose the musical score for “Watermusic,” a multimedia performance for over 15,000 people at Randers Harbor combining architecture, dance and music. Both projects were released as instrumental albums are available to stream and purchase. She has recently reimagined the Danish National Anthem and used it as a dark, dystopian theme song for Netflix newest sci-fi series The Rain, which is now streaming its first season.